We’ve all heard the phrase “never judge a book by it’s cover” and, as book lovers, we know that to be incredibly true. However, when we’re strolling the aisles of our favorite bookstore or library, we can’t help but be drawn in by those with intriguing covers. Let’s take a minute to appreciate the eye candy covers of these 2015 new releases! Confess – What I love most about this cover is how simple it is at first glance. Just a plain white cover with a few splashes of paint. Once you look closer you can see that it’s actually a canvas with the beginning of a beautiful painting! It also ties perfectly into the story. 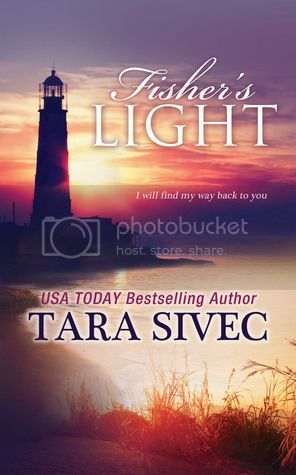 Fisher’s Light – I’m a total sucker for a beautiful sunset/sunrise as it is, but when you throw in a silhouetted lighthouse and the words “I will find my way back to you” I get instant feels! The Secret’s We Keep – You can’t love photography and not appreciate bokeh (the light circles) done right! That is what initially draws me in. 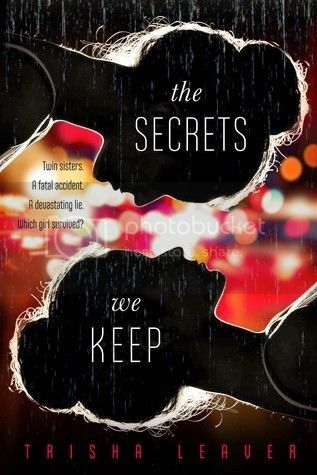 Then you have the silhouettes of two identical girls which adds an air of mystery and I love how well it looks when it’s all put together! Magonia – Just look at it! If tattoos were my thing I would totally have this masterpiece permanently placed on my body! Until Friday Night – The typography + the sunset + a football field = a bookshelf must-have for me! 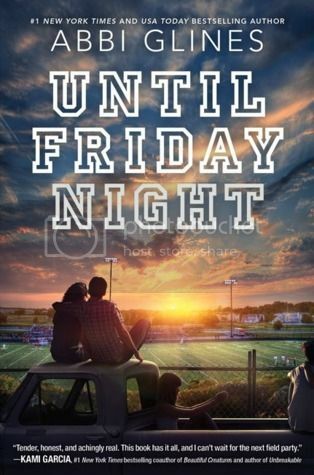 Although I was less than pleased with the book itself, this cover brings back the high-school “Friday night game” feeling! 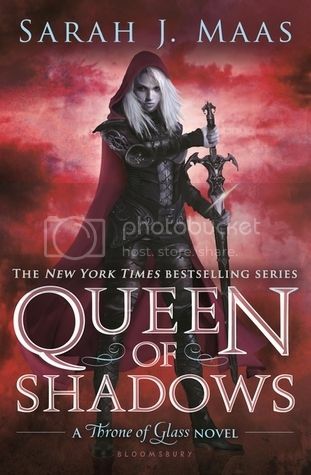 Queen of Shadows – This cover is any fantasy lovers dream! Please don’t throw sharp/heavy objects at me, but I haven’t started reading this series yet. *runs for shelter. * The covers are all incredible, but I’m holding off until I can marathon it! However, I don’t have to read the books to know that I want her on my side if we’re going to battle. Ten Thousand Skies Above You – As a photography enthusiast, there’s just so much to love about this cover! This is the kind of photography that pays my bills so when I see my “second love”(photography) on the cover of my “first love”(books) well it warms my heart a little! Winter – This cover is simple yet so magical! 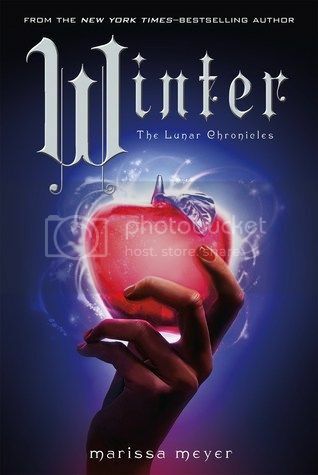 The entire Lunar Chronicles series has been given amazing covers, but Winter is hands down my favorite! Also, I love how that typography screams fairy-tale! All of these covers are gorgeous! I especially love Magonia’s cover, I have that displayed at the front of my bookshelf because it’s soo pretty. These covers are gorgeous! 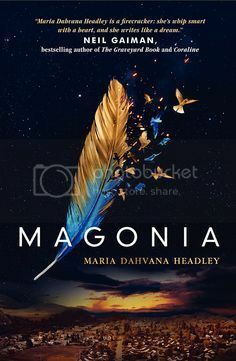 I’m pretty sure 99% of the reason I added Magonia to my TBR was because of the cover lol. I recently discovered how pretty white covers can be though, so I love the simplicity and color splash of the Confess cover. I do like beautiful covers. I can’t help it, they draw me in! :-) Winter is especially gorgeous. I was started to listen to Magonia because of the cover. Wasn’t a huge fan of half the book but the cover is stunning. For my Top Ten Tuesday FREEBIE I decided to da: Authors I Have Discovered Through Goodreads (http://mooneyesrandomsmile.blogspot.ca/2015/09/top-ten-tuesday-authors-i-have.html). Great covers. I LOVE the cover for Winter and I also really like the are You Up cover. Love this topic. Covers are my favorite. I love them so much and judge all the time. I LOVE Confess, Winter and Ten Thousand Skies Above You. They are all so pretty though!! Great topic! OOoh pretty covers! Especially love Winter! And Ten Thousand Skies Above You! Beautiful. Love these, especially Made You Up. 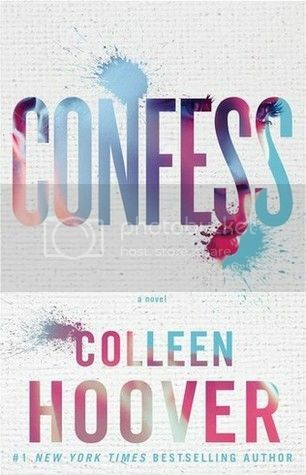 I love the cover of Confess—it’s just so incredible. I should probably get around to reading it! Fisher’s light: I love the colour palette. The secret’s we keep: the bokeh and the silhouettes are a success for me as well. 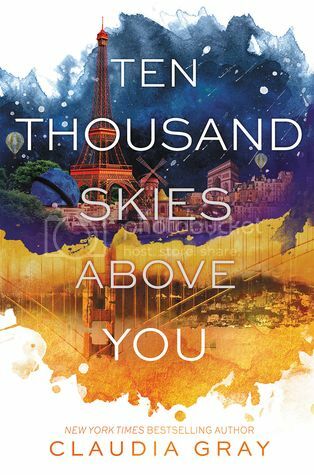 Ten thousand skies above you: I not only love the long titles from this series, but those covers are amazing too. Winter: while it’s not my favorite one in the series (I think Cinder, because it’s such a subtle nod to the story) I do love it a lot. They totally nailed the Cinder cover! So many great covers! I love the colors of Confess, but I think Winter is my favorite cover, mostly because I’m 110% excited for it! Lol Same here!! Counting down the weeks til it’s released! YES! Great idea for a post! The Magnolia cover is definitely gorgeous, same with Ten Thousand Skies Above…obviously QoS clearly is so badass :) I’m dying at how spot on you are about the Pinterest idea with that Made You Up cover lol!!! Right! So glad I’m not the only one who’s seen that canvas art on Pinterest! Well, I want to read all these books now. 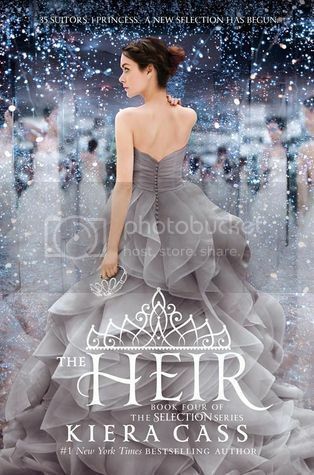 :) Winter is my favorite of these covers. I keep meaning to read that series. It sounds awesome! Hi! I always judge a book by its cover :) These are awesome! I love this idea. So many unique ideas this week! Made You Up has an awesome cover! There is more artwork on the back! Awesome! I’ll have to check it out! 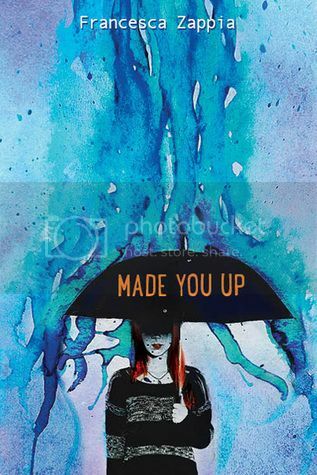 I love the cover for Made You Up! I bought it for my Kindle but I’m wishing I had it on my shelf.